Email advertising is an environmentally friendly promotion method and has absolute advantage on the cost efficiency. More and more products is now using email advertising to promote themselves. Online direct marketing will become one of the mainstream of promotions and sales. The system allows users to see client’s orders and product analysis, this helps the company to save time and money, making computerization the mainstream of the world. Email advertising can be classify into e-Newsletter and e-Marketing. To market effectively and successfully, a convenient online platform and a competent design company is essential. A successful e-marketing must determine its selling point. The selling point is determined by your internal factors, which is believed to be the most effective in marketing the products. In a large shopping mall, there are many competitors trying to compete for the same customers, it is for the customers to decide which company they want to patronage. Therefore, a successful marketing campaign could enhance the company’s image, leading to increase in sales and profits. So an effective design and promotional analysis for the product promotion is a key for future success. Promoting to the loyal customers is always easier than finding new ones, they are also lower in cost and more long lasting. Loyal customers enable mutually beneficial relationship too. Companies should use marketing tools to build customer loyalty, like e-newsletter is an effective and environmentally friendly marketing method. It regularly sends out the latest company news and product information to customers, in order to promote products intangibly and to build relationship with customers, to create customer loyalty. Having an effective promotional tools to help analyze and build e-Marketing and e-Newsletter is essential. 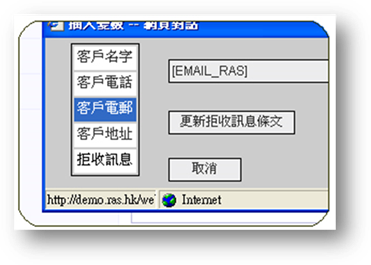 Our self-developed e-DMS red apple email marketing and distribution system has the following functions. 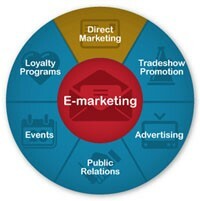  Establishment of e-marketing campaigns can enhance company’s image, increase sales and improve profits. 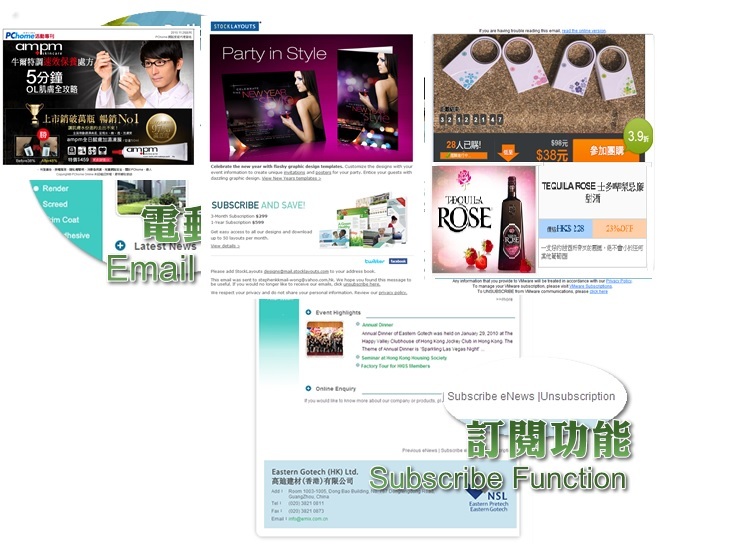  Use of e-newsletter to promote new products and intangibly build relationships and enhance customer loyalty.  Establishment of membership system, could send out activities information in time and maintain relationships with members. 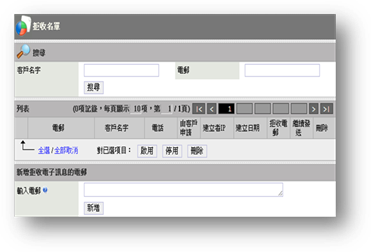  All operations is on the Internet browser, no additional IT equipment and staff for management is required. 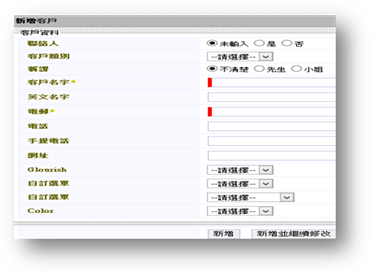 the system, no need to worry about the filtering or e-mail problems.  Easy to use, no special computer skills required to operate. 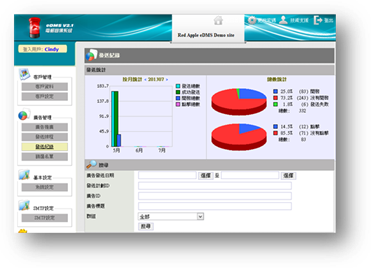 Red Apple eDMS is low cost but effective, is one of the tools of customer relationship management. Direct Marketing enables multimedia to transfer information to target customers, increase the attractiveness and effectiveness of the promotion. Can do promotions periodically, and increase the interactions with customers, in order to increase customer loyalty and sales. Red Apple Direct Marketing Systems runs on the internet. Developed by a professional development team, provides you with timely technical support. 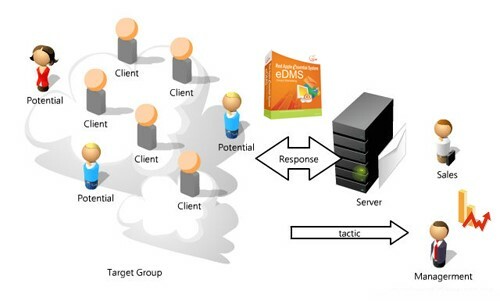 You can based on your business needs to privatization your eDMS important features, which is quick and easy to use. Red Apple Direct Marketing Systems provides a well-organized customer management function, from receiving customers data to manage and classify customers email list, data analysis etc. is all able in eDMS. Red Apple Direct Marketing Systems runs on internet. Developed by a professional development team, provides you with timely technical support. 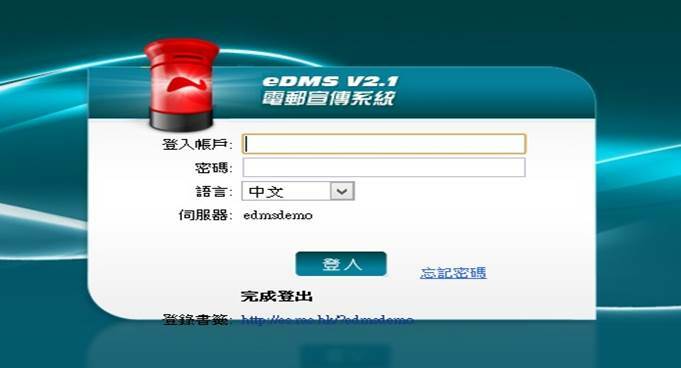 You can based on your business needs to privatization your eDMS important features, which is quick and easy to use. Red Apple Direct Marketing Systems provides "Testing Spam Mechanism", you can use this mechanism to test your own email address and contents, to see whether it passes the spam test! To make sure your emails will not be blocked by ISP. 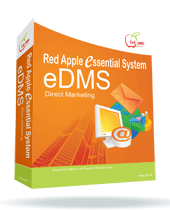 Red Apple Direct Marketing Systems provides a detailed report of customers preferences, includes successful sent emails rate and individual customers' email preferences. 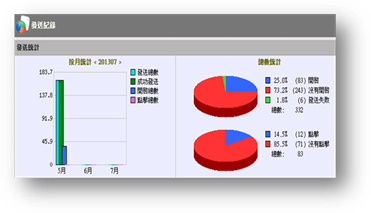 Our system have detailed records to help you analyze your products and services according to customers' preferences, to make the best business decisions. Red Apple Direct Marketing Systems enables add or remove emails addresses from lists, customers could "add or remove" email addresses according to customers’ needs. Our system could automatically group customers who leaves into a group, for better understanding of why customers quit, and improves customers’ management. Red Apple Direct Marketing Systems is able to use with the Shopping Care System, increase convenience for membership functions and email templates, in order to enhance the use of e-commerce. 2. 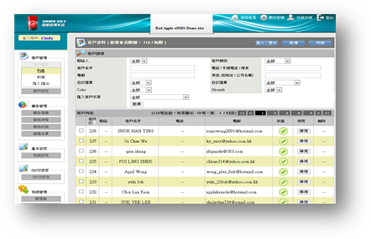 Except importing contacts, company name, address, phone number and other basic information, customization of other different categories could also be added, to facilitate a more accurate customer information collection. 3. 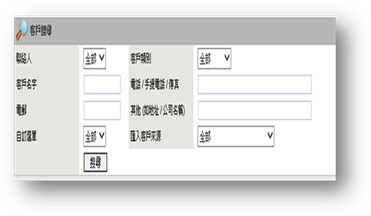 Can directly add Opt-Out option in the marketing and e-newsletter, update the Do Not Call provisions, which fulfill the requirements of the draft ordinance of the Hong Kong Electronics. 4. Insert of different customer data is able in the marketing emails or newsletters, can create a more intimate design effectively, to increase customer loyalty. 5. 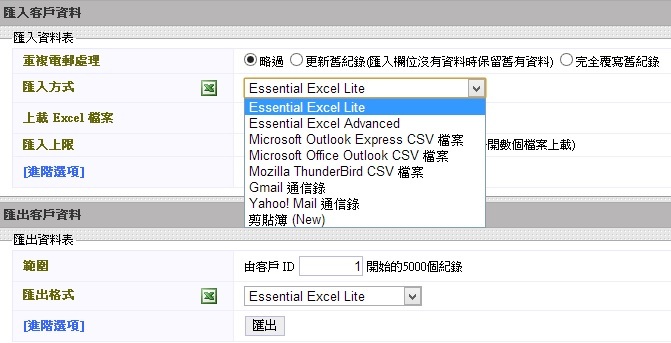 Powerful filter modules allows users to use (+) or (-) filters to add or remove specific qualification, and send to different target customers, for effective marketing of their products. 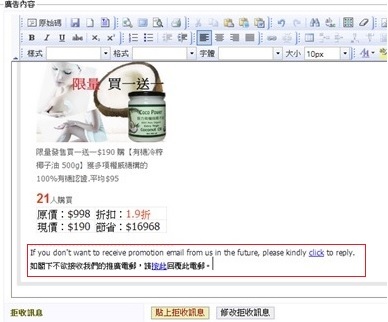 For example, promotion of cosmetic products, the user could choose only send e-newsletters to customers with white skin. 6. 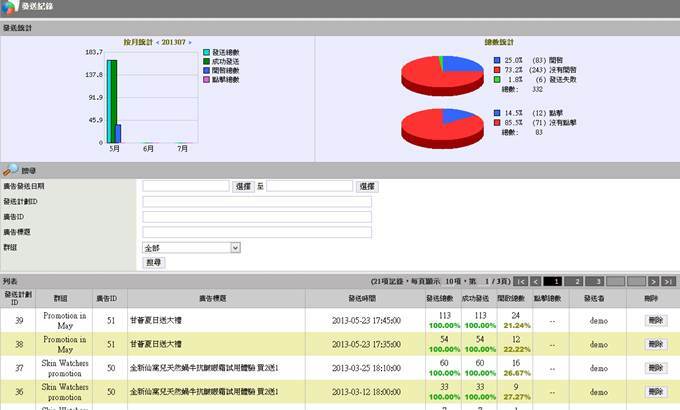 Users could see different click-in reports, the system will list out all the relevant customers’ information. 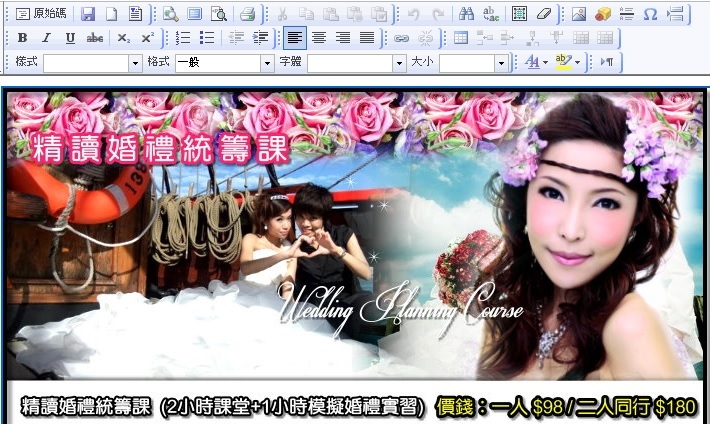 Users could convert the files into Excel or PDF format, or even print out the list directly to marketing or sales department’s staff to follow up. Establishment of e-marketing campaigns can enhance company’s image, increase sales and improve profits. Use of e-newsletter to promote new products and intangibly build relationships and enhance customer loyalty. Establishment of membership system, could send out activities information in time and maintain relationships with members. All operations is on the Internet browser, no additional IT equipment and staff for management is required. 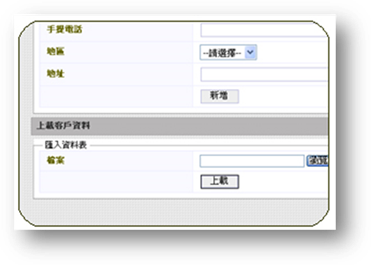 Web Mail Recipient Reports can trace when customers or members linked into specific URL, in order to analyze the effectiveness of the ads. Recipients can decide through the system whether to receive emails, to avoid spam mails, this process is automatically controlled by the system, no need to worry about the filtering or e-mail problems. 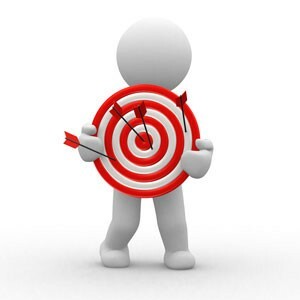 Recipients can be classified into different groups, such member and customer group, age, gender, interests, industry or others, thereby increase target customers. Easy to use, no special computer skills required to operate. 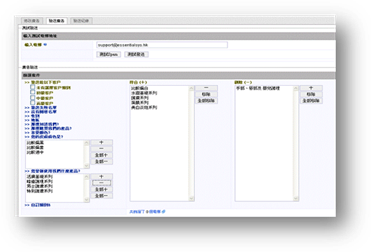 Quick search for customers’ and members’ information, could help reduce operating costs. 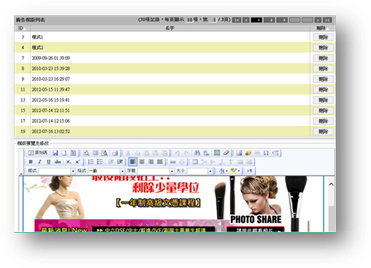 Systems could record the new email template online, users need not to redesign the email advertisement or message again. Opt-out function could opt-out customers that are less valuable and allow users to focus their effort on the valuable ones, to increase effectiveness.